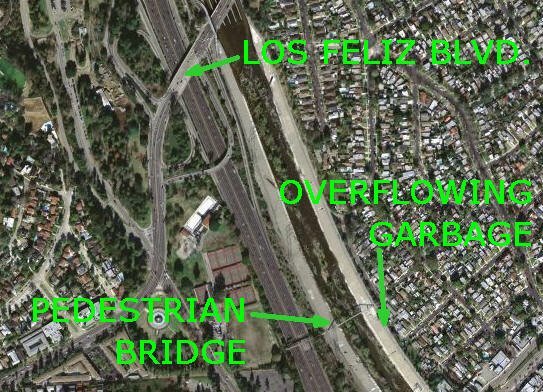 Terse phone call of the month: In corrections and amplifications, "we were remiss in not mentioning the many volunteers from the Silver Lake Improvement Association that originally started the event [Beautification Day]." 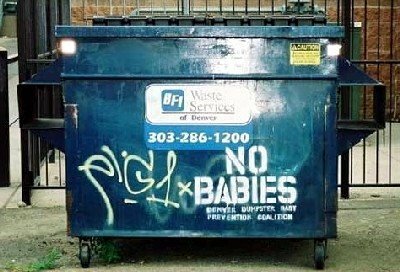 It's the cops or the dumpster, kid: In this month's safety tip from Officer Chovan, "I recently overheard parents telling their child that if she didn't stop crying, the police would take her away... I had to stop that parent from making a terrible mistake." Ice cream for restaurant reviews: Cold Stone Creamery: Not "on par" but "fun for the kids." Palazzo Gelato: "Translates to 'darn good ice cream'." Zanzabelle: "Eight foot giraffe." Svelte: "Good news for you Atkinians." 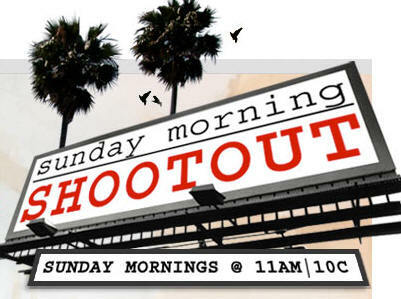 Even before I moved to Los Angeles, I rarely missed an episode of Sunday Morning Shootout on AMC. Also unlike any other talk show, Shootout is co-hosted by a gloriously awkward pairing: pie-in-the-sky Variety philosopher Peter Bart and money-takes-all studio honcho Peter Guber. Play this drinking game with mimosas, screwdrivers and Bloody Marys. It's Sunday morning, after all. I owe you, Richard Ankrom. Thanks to you, I made it to Atwater Village. Here's the story. 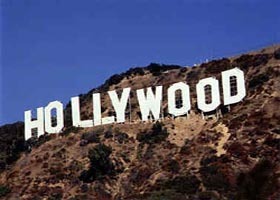 This February I came to Los Angeles to help scope out the move. I landed at LAX and immediately hopped on the freeways toward AV. I had never driven in LA. I was understandably distracted by the size of the city, the speed of the traffic, the smell of the rental car. 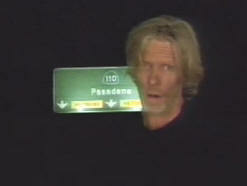 Navigating highway 110, my brain seized on one primary objective: Exit I-5 North. 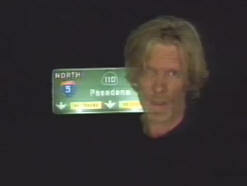 Exiting from the 110 to I-5 North is much easier than it used to be, isn't it Richard? Thanks to your frustrations with California freeway signs - and your generous, elaborate fix involving aluminum, button reflectors and an orange safety vest - that downtown tangle of ramps and tunnels is a little more navigable for Newbies like me. So thank you, Richard Ankrom. I'm glad, nearly five years later, your fix remains. And I'm glad you're not in jail. From what I can tell it's part of a walk across America - Venice (CA) to Manhattan (NY) - now underway. Or maybe it was underway at some time in the past. I'm not entirely sure. And the guys in the video sometimes lapse into British and/or redneck accents. This might be for comedic effect. Luckily the music drowns them out. Just after high school I worked part-time at a Top 40 radio station. I worked behind the scenes, doing "market research," never getting a shift on air. I wanted to DJ, of course, but the station required experience. What about public radio, like at community college? No, said the boss. Public radio permanently ruins talent. It teaches them to erase their on-air energy. DJs spend one semester on public radio and they may as well stay forever. Harsh! But not as hopeless as it sounds. Radio will always have room for narcoleptic mumblers. 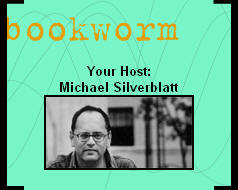 There will always be KCRW's Bookworm. Meet Linda Blair! -- Linda Blair, actress and animal activist, will be joining the Directors of Animal Welfare at our next adoption event! Come meet her, her beautiful rescue dogs and learn more about her WorldHeart Foundation. There will lots of kittens, cats and dogs to adopt! Is there a gentrifying cranny of the city that doesn't have its own wine bar in the works? My hairdresser tells me that a new wine bar is coming to the former Ranch market space in Atwater where Starbucks is also supposedly going in. This could arrest the reports and rumors bouncing around Atwater Village for months. Congrats, wine sippers. Sorry, SBUX haters. Maybe this new joint can class up the neighborhood the way Asia Los Feliz does, with a giant TV aiming out floor-to-ceiling windows so neighbors (and drivers waiting at Los Feliz and Glenfeliz Blvds.) will never miss another sports highlight. Tell me this spot along the Los Angeles River didn't make it into the top five areas of opportunity. Or tell me that it isn't monitored due to priorities with the city's allocation of resources. But if I send $18 to the cops, will someone come empty this overflowing barrel every week? It was full a week ago. Now the trash is lining up outside, like cigarette smokers in West Hollywood. You know, the kind you get all over your drinking glass? Must. Remember. Coasters. "We lived in Atwater Village (before it was cool) in a pink house." This sweet rental is back on the market. It's been barely four months and the rent's already a couple hundred bucks higher (just like those soaring corporate rentals), but the home is no less lovely, the block no less desirable. Over there they call it the Beverly Hills of Atwater Village. Should the price and/or your credit rating not work out or, as 100% of the local real-estate analysts in this room expect, the rental is already snatched up, try other hot AV listings like 3134 Madera ($1,875 2bed 1.5bath), 4040 Brunswick ($1,200 2bed 1bath), 3371 Tyburn ($1,695 1bed 1bath), 4028 Perlita ($1,395 2bed 1bath). 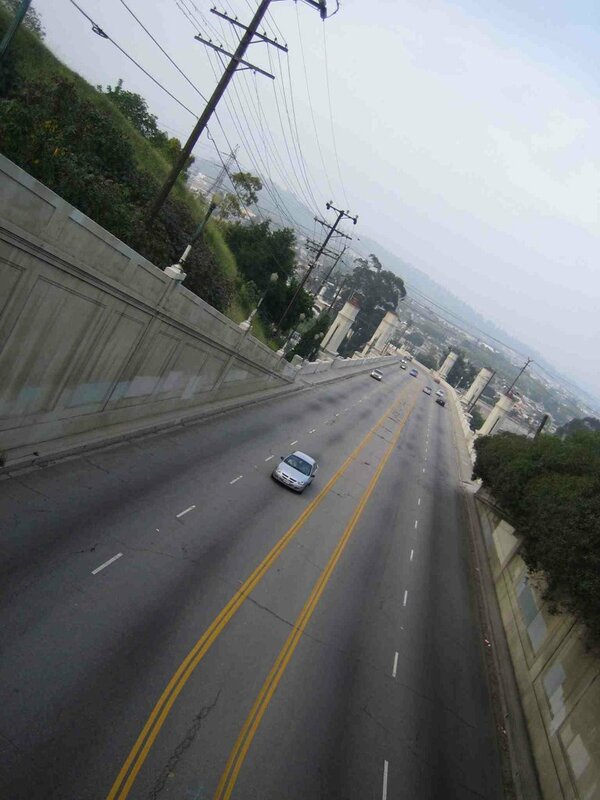 Yesterday Curbed LA pointed to yet another diss of Los Angeles as a "roadway hierarchy." When I moved here this spring, I heard some of the same complaints. 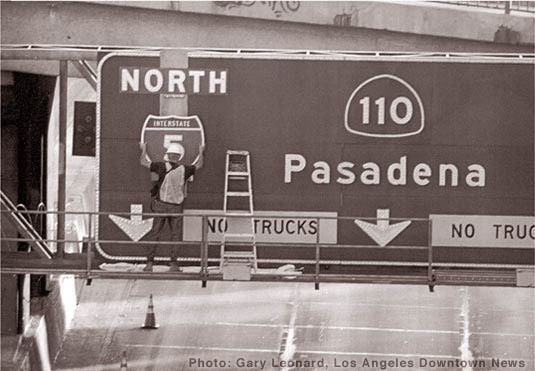 Even the old pop song moans, "LA is a great big freeway." I personally don't get it. 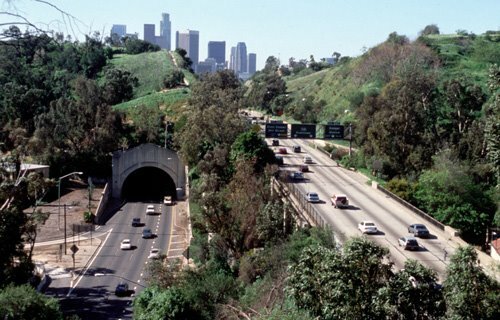 Do people really see LA as a concrete city? Try Kansas City, Chicago, Denver or Las Vegas. Ever go to Brooklyn? Or Texas? Each of them would flunk art school for hogging all the brown and gray. than any other US city! 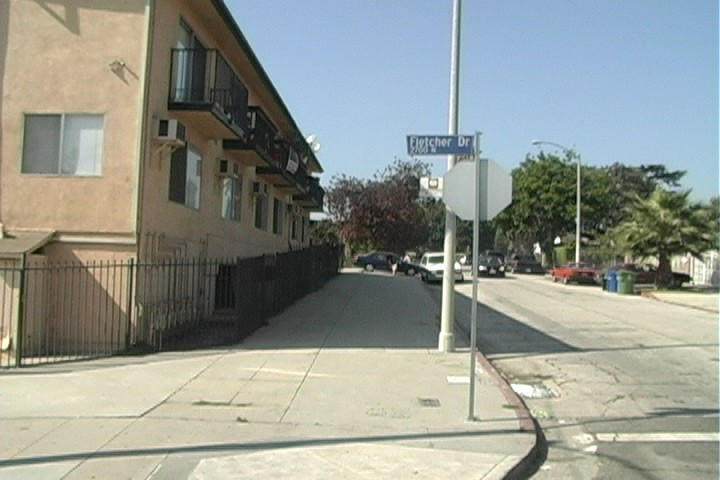 On April 14, 2006, a gang murder occurred in the North Atwater Village area. During the early hours of the morning, two victims on their way to work were struck from behind by a vehicle. As they pulled over to exchange information, gang members pulled out their guns and struck one victim in the back of the head killing him instantly. The driver, victim two, was able to get away. Due to outstanding leads, the CAT, Footbeat and Homicide Unit were able to apprehend the suspects within six days. These units worked around the clock so that justice could be served to the fallen victim and the family. Thank you for your hard work. Gulp. 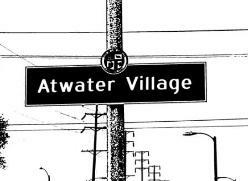 I assume by "North" Atwater Village they are referring to those trouble-makers in the 43rd Assembly District. P.S. - Does anyone else's phone bill list calls to the non-emergency 311 city government line as calls to police? Baum Bridge over Los Feliz Blvd. 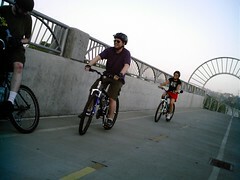 Join Will and the International Association of Armed Librarians - Mobile Assault Force (IAAL-MAF) as they bike up, down and across the LA River trying their damnedest to avoid a pit stop at Foster's Freeze on Fletcher. 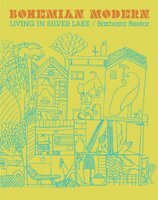 "This worthy book is as difficult to define as the neighborhood it documents ... 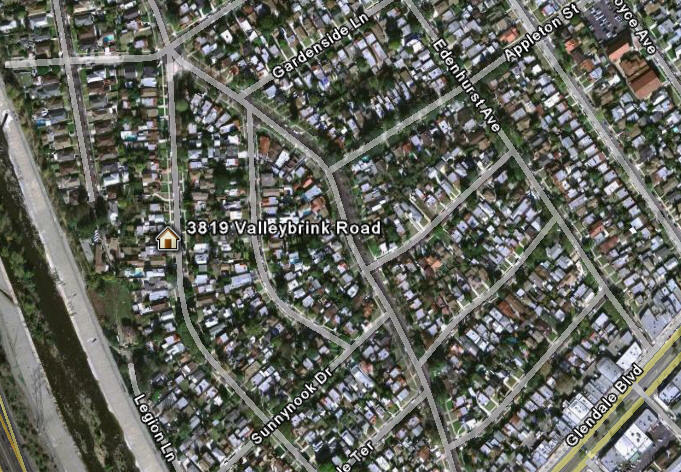 Even geographic boundaries are a bit fuzzy, with Echo Park, Atwater Village and Mt. 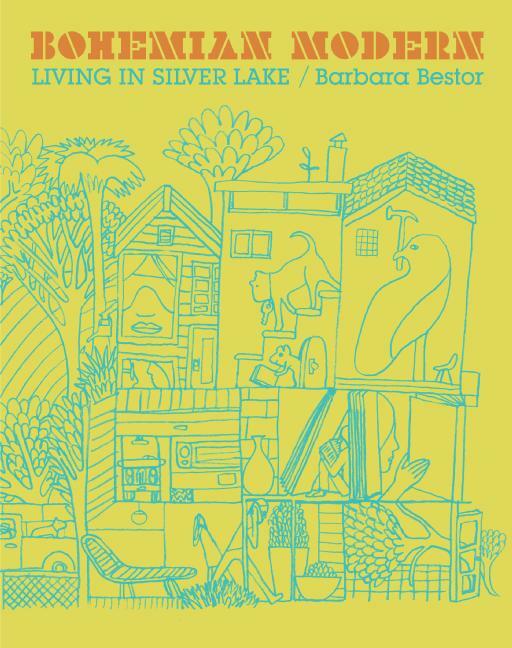 Washington thrown in - perhaps an argument that Silver Lake has evolved to become not just a place but a state of mind." While our own state of mind is open to this public display of affection from a designer who cut her teeth on Beastie Boys offices in Atwater Village, we have to wonder how many Silver Lake hipsters will start calling their real-estate agents when they hear half their neighborhood now lies east of I-5. 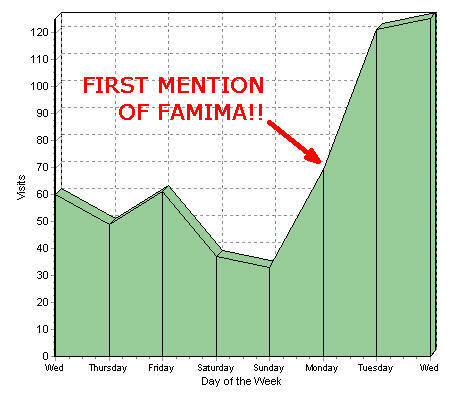 Another Excuse to Mention Famima!! 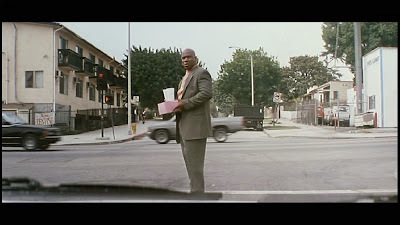 And I thought my blog would peak with the June 6 post about Bruce Willis running into Ving Rhames at the corner of Fletcher and Atwater. It's nice to play a small part in this little Fa-meme-a (ha! get it?) among LA blogs (Curbed, Eating, FranklinAve). Test my theory by visiting the oldest Home Depot along the corridor - Glendale #649 at 5040 San Fernando Rd. Navigate the cramped parking lot, hunt vainly for assistance, watch a mumbly lumber cutter nearly lose a finger, joust for a cashier, and eventually leave empty-handed in disgust, failing to contribute to the economy. Then visit the newest Home Depot - Burbank #6654 at 1200 Flower St. - opened January 2006. Let your vehicle revel in vast asphalt. Shield your eyes from gleaming signage. Ward off enthusiastic customer service. And exit dancing with your correctly-priced power tools. By no means earth-shattering science, my theory flies in the face of the anti-development web site, No Home Depot Coalition. Surmounting obvious grammar issues (I keep seeing flyers for "No Home Depot Coalition Meeting" - hey, just tell us when there actually is one!) 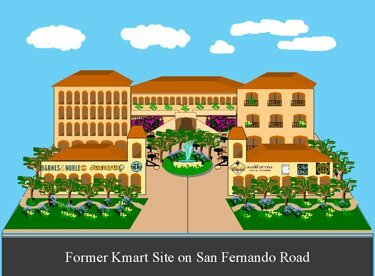 the coalition opposes development of the old Kmart at 3150 San Fernando Rd. 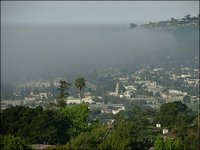 "Instead we would have a book store, coffee and juice bars, a CPK or other nice restaurant, an Apple store or other computer retailer, and a fitness club - services that are sorely lacking in our immediate area." To this one-chain-is-better-than-another snobbery, I strongly reply, "Seven California Pizza Kitchens within seven miles are too many!" Besides, one CPK is as nice as any other. Indochine Vien - 3110 Glendale Blvd. 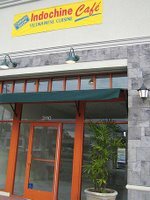 - "Light and healthy food, priced right, in a smartly designed space"
Tacos Villa Corona - 3185 Glendale Blvd. - "A little hole-in-the-wall in Atwater Village ... a cute and obscure little 'yuppie-grunge' nook of LA that has been dodging trendiness for the last 30 years ... I'll surely be going back again"
Sounds like it meets Famima's site criteria for what could be the parent company's 11,004th store. And it's not even West Hollywood! What's next, HBO's Entourage on Verdugo Road? Described as 7-Eleven meets Pacific Design Center by the droolers over at Curbed LA (also here and here) upscale Asian deli Famima!! 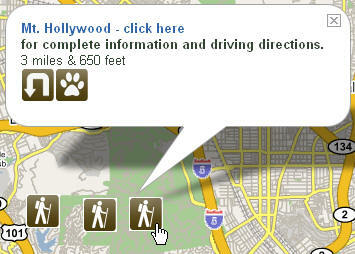 has thousands of locations in Korea and Japan but just five in the US, all within Los Angeles County. Good news for us Atwater Villagers, the next location in this chain's ambitious roll-out might be over the tracks in Glendale. 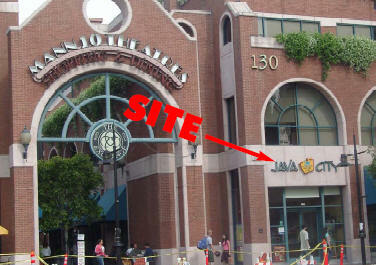 Clue #1 - June 2006 press release - "Famima will open additional stores over the next few months in Hollywood, downtown L.A., Glendale, Long Beach, Manhattan Beach, and a second Pasadena store." Clue #2 - Now Hiring for ST-GLEN - Looks like they're trying to fill a store from the ground up with manager, assistant manager and associate. All three list LOCATION: Glendale. Anyone know the exact address? UPDATE! Clue #3 - Extra-smart reader Mike from Franklin Ave. had the idea to actually call Famima. He says (in comments) the store is planned for 134 N. Brand Blvd. in beautiful downtown Glendale. A Rainy Day in May in L.A. 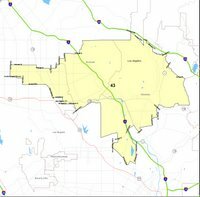 "...The California Latino Leadership Fund (CLLF) sent an ugly mailer last week that tarnished the image of the entire Armenian American community. 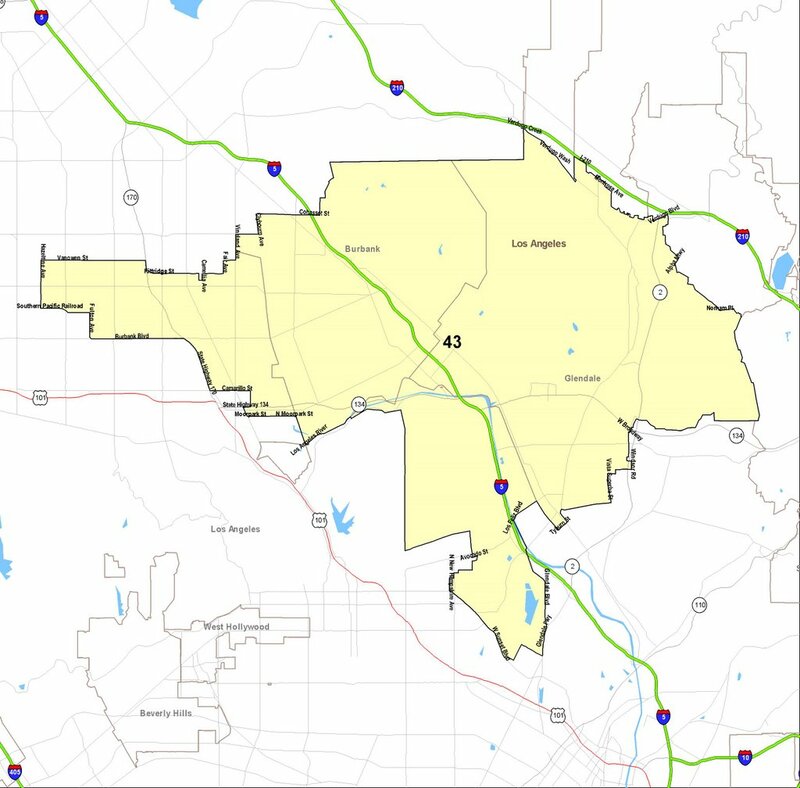 "...Tens of thousands of non-Armenian voters received postcards as well as phone calls warning them against voting for Paul Krekorian, a Burbank Board of Education Member, because he was endorsed by the Armenian National Committee (ANC). 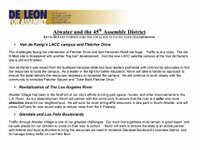 "The postcards and the phone calls were clearly meant to scare off the voters by linking Krekorian and the ANC to 'a suspected terrorist.'" LA Weekly has an MP3 recording of the anti-Krekorian phone call. Did anyone else hear it? I'm south of Los Feliz Blvd., in the 45th District. We're less concerned with terrorism rhetoric than we are with candidates emancipating our pets. 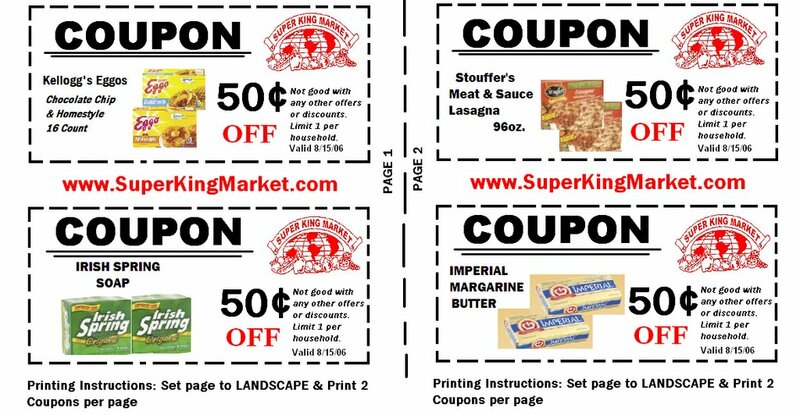 As a public service to Atwater Village residents - and our good-looking neighbors in Glassel Park - I offer these 50-cent coupons from the new Super King Market. 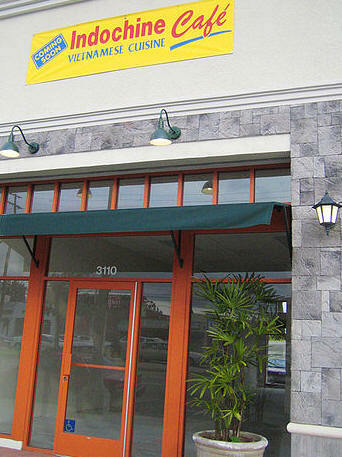 Click on 'em, print 'em, clip 'em, and bring 'em to 2716 N. San Fernando Rd., site of the old Ralphs Market. Store owners Mary, Vache, and Peter Fermanian - who also have a location behind the Orange Curtain - plan grand opening festivities June 30, 11am. Till then, try chocolate chip Eggos for half a buck less. Hot enough to be summer? 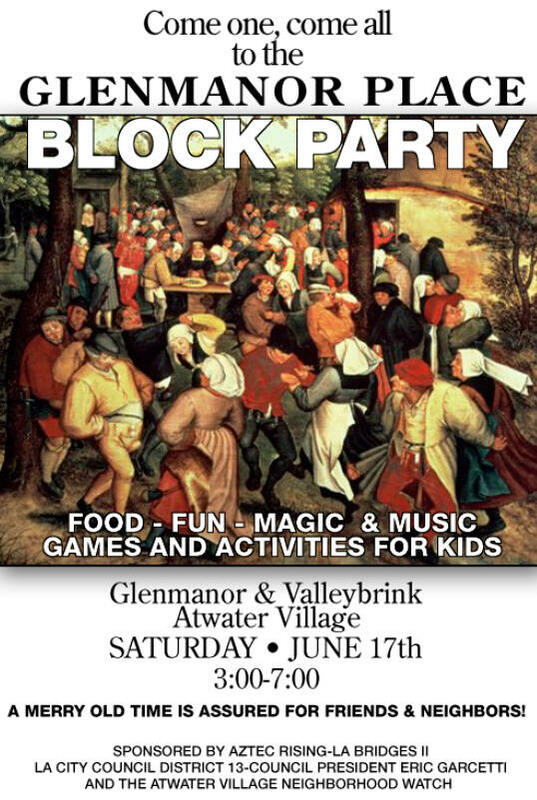 Time for a block party. No word if the people on this flyer indicate some sort of anachronistic dress code or if they merely demonstrate Atwater Village's predilection for street-dancing. Find out tomorrow. Los Angeles: "admission price into the Los Angeles real-estate market to get anything half decent;" Spanish cottage in Atwater Village; 747 sq ft; 2 bed; 1 bath; "big backyard"
One final factoid from LA Realtor Brock Harris: 20 percent of all LA listings are $1 million or higher. There's another nearly identical HGTV show, What You Get For the Money, but it compares across only one price range per episode. 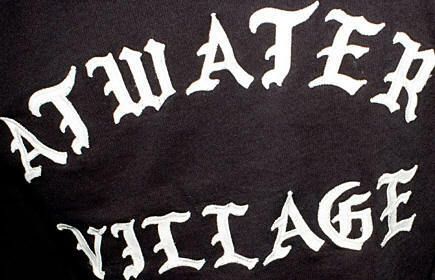 It often includes LA, but I haven't seen Atwater Village on it yet. That MSNBC article and subsequent discussion about what to do for 24 hours in LA was interesting, but ultimately not too useful. After all, we transplants usually attract heartland visitors for more than just a day. 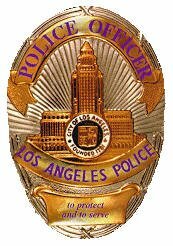 Traffic Jams We Couldn't Avoid: I-5 & I-10, Wilshire & I-405, I-5 where they found the dead body in Norwalk, half the cross-streets along Sunset Blvd. 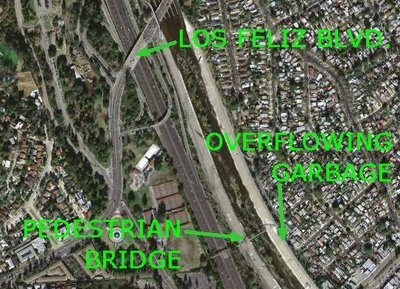 "Existing streets got a thin layer of petroleum 'slurry.' This extends the life of the street by an average of 7 additional years, delaying the need for a full, expensive repaving. "Concrete streets are more difficult. Since it's pretty much cost-prohibitive to repair them to their original state, the Bureau of Street Services (BOSS) prefers to fix them by paving them over with asphalt - which many residents, fond of the concrete streets, object to." Fondness for concrete? I see what Miles sees. Compare two areas of Atwater Village - like north and south of Glendale Blvd. - and it's like day (smooth streets, manicured yards) and night (concrete cracks, lawn jalopies). Might there be a connection between public property caretaking and private propety pride? It extends to graffiti, too. What's the incentive for a business to repaint walls when it's next to a riverbed or bridge that's perenially tagged? If you have designs on winning the prestigious cooke bakeoff at the annual Atwater Village street festival, make it fresh, make it tasty, but please don't make it with sauerkraut. Save that avant-garde stuff for the west side. This year's yummy - yet traditional - winner: peanut butter thumbprints. "I slowly became obsessed with Los Angeles history, with preserving L.A.'s fragile landmarks, with discovering new restaurants (hole-in-the-wall and famed alike), with trying to get the message across that Hollywood is just one tiny aspect of the nation's second-largest city. Ten years later, I'm not searching in vain for the city's center anymore. I find it everywhere I go." P.S. - I tried to sign up for atwatervillage.blogspot.com, found it claimed but vacant, and had to settle for this hyphenated version. At least I come up higher in searches. 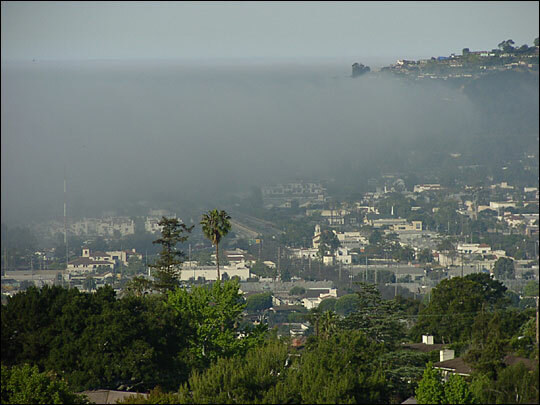 Council Prez Garcetti recommends riding "a horse to the top of Mount Hollywood from a stable in Atwater Village"
For someone struggling to acclimatize from a semi-arid mile-high locale, I sure do like these cool, gray days in LA. 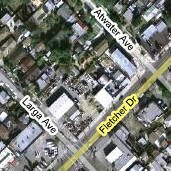 Lest history record this year as the beginning of the Great Atwater Village Pavement War, let's hope city leadership can satisfy a Curbed LA rumbler who wants repairs on South AV's concrete streets (item #2) - before he finds out the city just overhauled some of North AV's concrete sidewalks. "Susan and I made a special hot-afternoon trip over to the Foster's on Fletcher at the south end of Atwater Village... That intersection where the Foster's is served as the location for the scene in 'Pulp Fiction' after Bruce Willis' character ... runs into Ving Rhames' … literally." Even if all the LA oldbies already knew it, what a cool factoid for a newbie like me. Even cooler is that when I was planning a move to Los Angeles this spring, I considered renting one of those apartments behind Ving Rhames. I hope this post won't spoil the movie for anyone. This one's from Denver, but Los Angeles sure could use it. 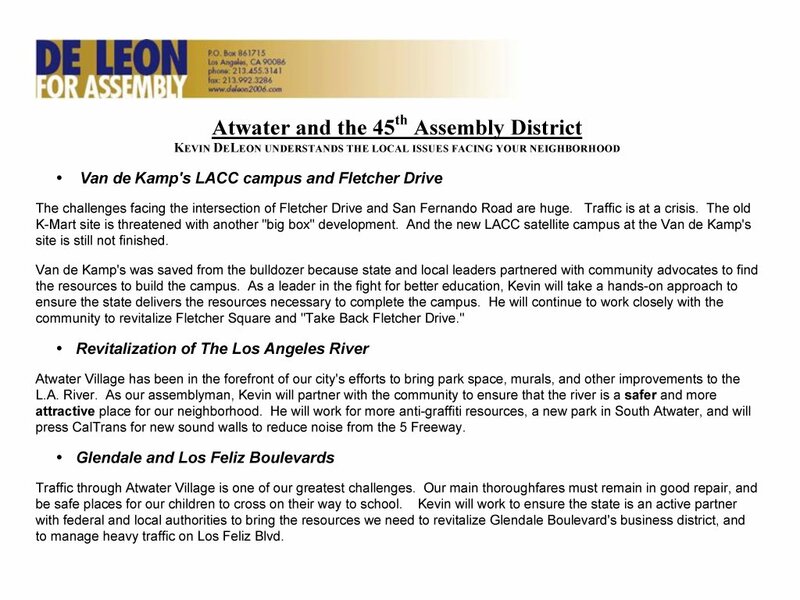 My inbox says Kevin De Leon, candidate for California State Assembly's District 45, "supports Atwater Village." If Kevin De Leon wants to support AV, he should know some of us - hell, let's go on a limb and say most of us - support anti-spam email practices. And we support our four-legged friends. Last night I hoofed over to the Indochine Vien Vietnamese cafe on Glendale Blvd., and ordered Banh Xeo (#4), Pho Tai Bo Vien (#8) and Suon Nuong (#15) to go. That's 4, 8 and 15. Halfway home I realized that a Ga Nuong (#16) and a Crispy Vietnamese Apple Fritter (#23) would've nearly completed The Numbers on "Lost." Indochine's menu, alas, skips 42. P.S. - To continue the "Lost" theme, here's a food review in four words: Fresh, inexpensive, almost bland. Sidewalk repair at 6:30am? Ladies dashing out in robes to chase garbage trucks at 6:05am? Surely the 7:00am noise ordinance covers some of these things. 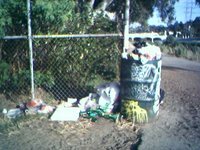 Maybe trash collectors are bitter because their 150% raise will go to the cops.